World oil prices decline on Wednesday morning after the release of data from the American Petroleum Institute (API) on the unexpected growth of stocks of this raw material in the U.S.
Brent crude oil futures were at $78.19 per barrel, down 0.31 percent, U.S. West Texas Intermediate (WTI) crude futures were down 0.28 percent, at $71.11, RIA Novosti reported. 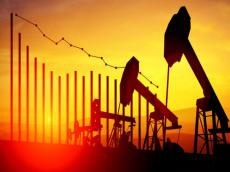 API reported that during the working week, ended on May 11, oil reserves in the U.S. increased by 4.854 million barrels. At the same time, analysts expected a drop in inventories of 763,000 barrels. In the previous week, the figure fell by 1.85 million barrels, according to the same organization. Meanwhile, gasoline inventories declined by 3.4 million barrels (against expectations of a decrease of 1.42 million), distillates - by 768,000 barrels (expected decrease in inventories by 2.2 million barrels). Oil reserves at the country’s largest terminal in Cushing have increased by 62,000 barrels. Official data on oil reserves in the country from the U.S. Energy Department will be published later on May 16. There are signs that oil production will rise, especially at majors like ExxonMobil, Royal Dutch Shell, Chevron, BP and Total. “Aggregate production – both actual and projected – is growing for the majors,” S&P Global Ratings said in a report published on May 15. Spot crude oil cargo prices are at their steepest discounts to futures prices in years as sellers are struggling to find buyers for West African, Russian and Kazakh cargoes, while pipeline bottlenecks trap supply in west Texas and Canada.